Wendi-Selig Aimonetti has helped hundreds of families and individuals realize their dream of home ownership. Whether you are a first-time buyer, new to the Bay Area, upgrading to a larger home, selling your home, involved in a probate sale, or relocating, Wendi has the expertise, experience and negotiating power to get the job done. Wendi is also a recognized relocation expert in the Silicon Valley for moves to or from the Bay Area, including worldwide destinations. By taking advantage of Wendi's real estate expertise, you can be sure you have selected one of the Bay Area's most knowledgeable Realtors to work for you and your family. Wendi is committed to providing the utmost level of professional service and personal care. If you are planning to sell your home, take advantage of Wendi's experience in preparing homes for sale with her team of top-notch painters, stagers and handymen to get your property ready for the market. Wendi is also proud of her support team of full-time assistants who will help you with many of the complex aspects of real estate transactions. A top-producing real estate professional, Wendi has sold nearly a billion dollars in real estate. She has been recognized as 1% Nationwide and as a Top 100 Real Estate Agent in Sales for all of Northern California by the Association of Realtors and Business Journal. As a highly respected member of the real estate community and a member in good standing with the Silicon Valley Association of Realtors, the California Association of Realtors, the National Association of Realtors and the Residential Sales Council, Wendi has earned a stellar reputation with her colleagues throughout the Bay Area. Wendi has been affiliated with the Coldwell Banker offices in San Carlos, Menlo Park and Palo Alto, where she began her career in 1987. Some of the many distinctions Wendi has earned are Senior Marketing Consultant, President Elite, President Premier and Relocation Specialist. She has also conducted many first-time buyer seminars and trained countless Bay Area real estate agents in the techniques of becoming a top producing agent. 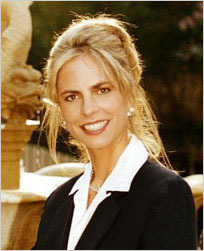 Wendi received her real estate license in 1989. She grew up in Woodside and is a wife and mother of three, living on the Peninsula. If you are looking for a pleasant, honest and hardworking real estate professional to work for you, Wendi would welcome the opportunity to fulfill all of your real estate needs.